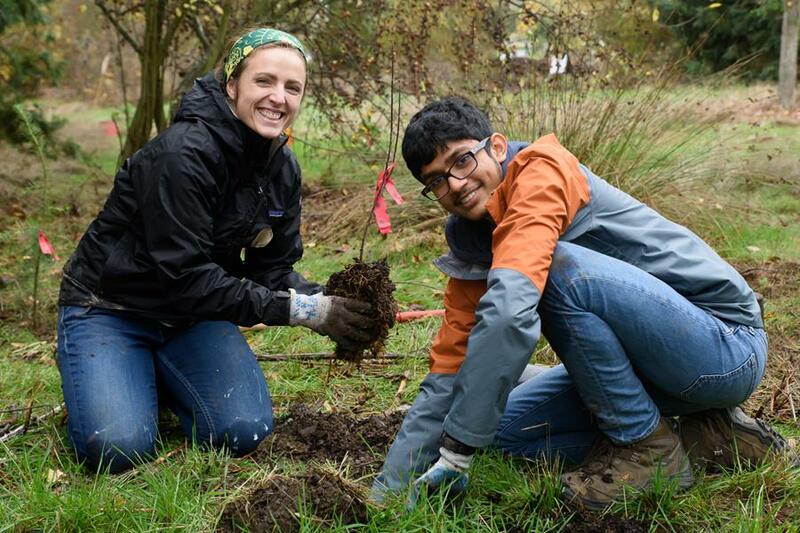 UW students are invited to join us at an Earth Day Service Event at the Washington Park Arboretum this Saturday, April 20th from 9am – 1pm. We start at 9am, at the Crabapple Meadow, south of the Visitors Center, with free coffee and breakfast snacks! All project materials, tools and gloves will be provided – volunteers just need to show up in close toed shoes! Groups will head out into the Arboretum to complete gardening and restoration projects including weeding, invasive species removal, and mulching. Groups will return to the meadow at 1pm, where we will have some free light lunch! Stick around and enjoy a beautiful day in the park. This is the last call to participate in 2019 Earth Day. This year we will focus on the different ways in which engaging with the planet through the lens of equity and inclusion. While traditionally Earth Day at the University of Washington has been an environmental-centric festival, this year we are expanding the conversation to include the economic, social, and political aspects that we believe are crucial to any discussion of sustainability. Which is why our theme this year is Engage for Earth! We are reaching out to invite all UW-members (as well as programs, schools, departments, and student groups) to actively participate in this year’s Earth Day events! We greatly appreciate your consideration of participating by having an information table or preparing a special presentation/event. We are expecting lots of foot traffic so it would be an excellent way to gain exposure. Our programming will include speakers, exhibitors, performances, installations, workshops, classes, film screenings, panels, and more to both engage and empower students and local community members to get involved in their communities. There’s a lot of room for groups to get creative and participate in a way that really enhances this dialogue and gives all a chance to showcase what they do and what they’re passionate about, beyond the more classic tabling model. Participation for UW members is free, but if you have the capacity to make any donation support to create more equitable opportunities for student participation in this event. In addition to Earth Day, we will also be facilitating several related events in the week leading up to the April 22nd festivities. All UW departments and groups are encouraged to create their own event during the month of April focusing on diversity, environmental or social justice, or sustainability as part of Earth Week. To have your event included on the UW’s Earth Week event calendar, email sustainability. Please help us by sharing this information with other students and groups. For those interested in participating, please contact the student coordinator, Sarah Culp, at sfculp. We look forward to learning how you engage! Enhance your global leadership at the University of Washington: Apply for the FIUTS Student Board! The FIUTS Student Board is a year-long learning and leadership experience that amplifies the organization’s mission of international understanding, supports programs, and represents the diversity of the UW. This is a great opportunity for UW students to develop leadership and teamwork skills, while fostering global community on campus. Members build professional networks and gain real-world experience working with the nonprofit sector. Election to the student leadership team is a competitive process and applications for the 2019-2020 academic year are currently being accepted. All UW students welcome to apply! Salmon Conference opportunity for students and Corps members–don’t delay! The 2019 Salmon Recovery Conference, Facing the Future Together offers students and Corps members (e.g., AmeriCorps, Washington Conservation Corps, Veterans Conservation Corps) a great opportunity to register at a reduced rate of $180, thanks to the generosity of conference sponsors. Join us April 8–9, 2019 for the 7th biennial Salmon Recovery Conference at the Greater Tacoma Convention Center! · Learn about issues, projects, and up-to-the-minute methods in Pacific Northwest salmon recovery. · Network with salmon recovery professionals and policymakers. · Connect with people, companies, agencies, and organizations from throughout the Northwest. · Serve as a room monitor during one of the 2-hour breakout sessions at the conference. · Build your resume by participating in this year’s conference. · Get reimbursed for your student registration fee by working for 2–3 hours at the conference. · Register for the conference at the student rate between March 8 and March 25. No exceptions! Online registration closes March 25. · Only 20 volunteer spots are available. 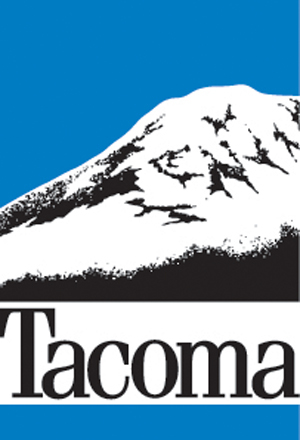 · Before the conference: You must be able to attend a Volunteer Information Session (about 1 hour) in person at the Greater Tacoma Convention Center, during the late afternoon or early evening of Sunday, April 7 (exact time to be determined). · During the conference: You will serve as a room monitor during one of the 2-hour breakout sessions at the conference and assist the session chair with lights, timekeeping, or other tasks. · All potential volunteers must register for the conference between March 8 and March 25 and pay the required registration fee of $180.00. · Fee waivers will not be granted. · You are responsible for your own transportation, lodging, and meals not supplied at the conference. · You must serve all your assigned hours to receive the registration refund. · You must obtain a work form at the conference registration desk, fill it out, and submit it before the end of the conference—signed by the chair of your session or Recreation and Conservation Office staff member—to be reimbursed. Comments Off on Salmon Conference opportunity for students and Corps members–don’t delay! Seattle Audubon is ramping up their spring programming, and the organization is currently looking for volunteers for their Finding Urban Nature (F.U.N.) program. I’d love to see more SEFSters participate in this program. I absolutely love to volunteer with F.U.N. As a volunteer, you lead a small group of 3rd and/or 4th grade students at a local public school in exploring their “schoolyard habitat.” The goal of the program is to give students hands-on, outdoor experiences in urban nature to teach them about the importance of biodiversity and build an understanding of how plants and animals interact with each other and their environment. Volunteers teach weekly lessons for four weeks in the fall and/or spring. After an initial training session, the time commitment each week is about two hours, and all the activities are planned by Seattle Audubon — all you have to do is show up! Volunteering for local chapters of the National Audubon Society has been an incredibly rewarding experience for me throughout my academic career. I have found volunteering for local environmental education programs to be a great way to connect with my community. I also find that I am routinely inspired by engaging with younger students and watching them fall in love with nature. I hope you’ll consider participating. Please feel free to reach out if you have any questions about my experience with the program. You may also contact Wendy Walker, Community Engagement Manager at Seattle Audubon (wendyw), directly for a volunteer application (attached), to sign up for a training, and to receive the in-school schedule. Comments Off on Volunteer with Seattle Audubon! My name is Cordelia Ilton. I am an undergraduate in the Sociology department working on my honors thesis. I am conducting research to understand how varying social backgrounds and experiences effect one’s expressions of jealousy and expectations of need fulfillment in a romantic polyamorous relationship. The demographics in most of the research done with polyamorous communities, so far, does not truly reflect the diversity of the community. I am hoping to disrupt this image with my study. Participating in this study involves one interview between you and the investigator (myself) at the time and place of your choosing. In the interview, I will ask questions about your polyamorous relationship (past or present) in relation to jealousy and need fulfillment. You may refuse to participate and you are free to withdraw from this study at any time. Your information will be completely confidential and protected. For this year’s 2019 Salmon Recovery Conference, we are working hard to expand our student attendance. We would love for passionate students who take an interest in salmon recovery to be a part of our conference. We strongly encourage students to register as soon as possible and to fill out a volunteer application form once they are posted on our website. Attached below is a save-the-date flier. Also below is a link to our website with more detailed information. If you have any questions, please do not hesitate to email me at arq. 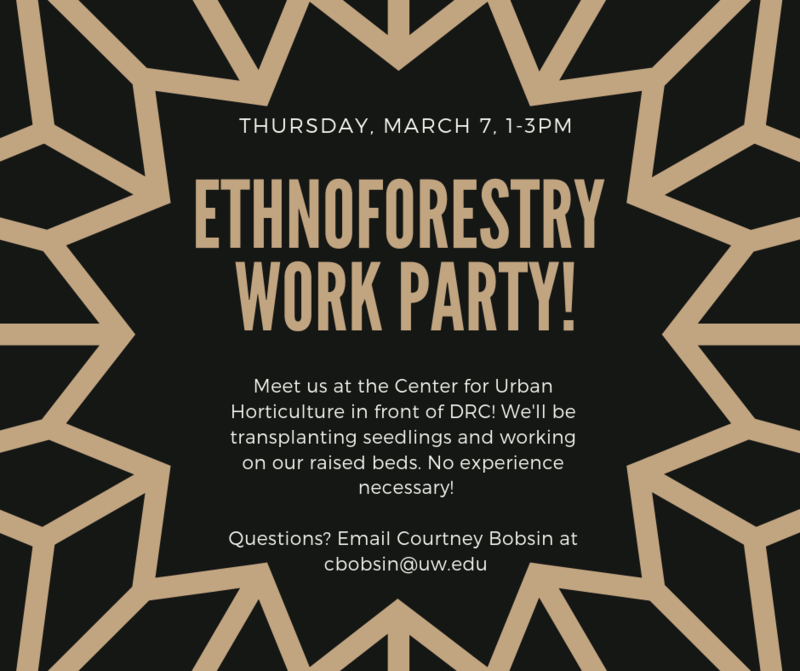 We’re hosting an ethnoforestry work party this Thursday, March 7th from 1-3pm at the Center for Urban Horticulture! We will be transplanting seedlings and working on our raised beds! As always, no experience is necessary. I’ve attached a flyer for the event as well! I am writing as a supporter of the student-led Earth Day Planning Committee. While traditionally Earth Day at the University of Washington has been an environmental-centric festival, this year we are expanded the conversation to include the economic, social, and political aspects that we believe are crucial to any discussion of sustainability. Which is why our theme this year is Engage for Earth! We are reaching out to invite al UW-members (as well as programs, schools, departments, and student groups) to actively participate in this year’s Earth Day events! For Earth Day 2019 we are focused on raising awareness of environmental justice and engaging with diverse forms of sustainability. The Earth Day Planning Committee encourages applicants to explore non-traditional design language that goes beyond environmental sustainability and highlights the broad themes of Action, Diversity, Equity, and Environmental Justice. The contest is open to all UW students, faculty, staff, and alumni. More information can be found in the attached flyer. B. Taking part of the program either during Earth Week or during Earth Day. During Earth Day you can also participate by setting up a table to pass information and engage with other students. We are expecting lots of foot traffic so it would be an excellent way to gain exposure. Our programming will include speakers, exhibitors, performances, art, film screenings, panels, and more to both engage and empower students and local community members to get involved in their communities. There’s a lot of room for groups to get creative and participate in a way that really enhances this dialogue and gives all a chance to showcase what they do and what they’re passionate about, beyond the more classic tabling model. Please help us by sharing this information in your units and among groups. We’d love to have multiple perspectives to be a part of our Earth Day events. For those interested in participating, please contact the student coordinator, Sarah Culp, at sfculp. We look forward to learning how you engage! Tutor at an elementary, middle or high school in Seattle during Spring Quarter! The UW Pipeline Project recruits, trains and places UW students as volunteer tutors in Seattle schools and community organizations. We are recruiting tutors for spring quarter to work with about 40 different schools, and would love to have you! We’ll help you get set up tutoring in a K-12 classroom or community organization. Tutors make a minimum commitment of 2-3 hours per week for at least one quarter. You can tutor as a volunteer or take one of our EDUC 401 seminars to receive credit. The schedule is flexible: schools need tutors Mon-Fri between 7:30 and 5pm. And we offer transportation to some of our partner schools that have the highest need for tutors. Empowered Eco Education is a 2-credit I&S seminar that allows students to write their own environment-related curriculum and teach them to 3rd and 4th graders. Teaching will take place at Concord Elementary (located in South Park, Seattle) on Thursdays. Students will leave UW around 2:45 PM and return to UW around 6 PM. The focus of Empowered Eco Education is to get kids excited about the environment and natural sciences and to empower them to stand up for their community and the environmental injustices their community faces. This seminar will be a good experience for students interested in social justice and environmental education. This seminar counts for the Perspectives and Experiences requirement for the Environmental Studies major and the Program on the Environment minor. Transportation to and from Concord Elementary will be provided. We all need to eat, but for students, not having a secure source of food can be especially stressful. By using a social justice lens, we will look at how food insecurity impacts a students ability to learn and how it affects marginalized communities. We will investigate programs, such as the free & reduced lunch program to understand its benefits and drawbacks in addressing food insecurity. The second half of this course will explore ways to use food as a way to empower students in their learning experience and keep them engaged. Alongside the seminar, students will volunteer at the Danny Woo Community Garden in the International District, assisting in their youth programs & garden crew. *This seminar is 3 credits, unless you have permission from the instructor. In this seminar, students explore the world of math and science in K-12 schools by attending seminars that focus on current educational topics and tutoring at one of Pipeline’s partner schools. A key feature of the course is the opportunity to reflect on and share tutoring experiences in order to gain advice, suggestions, and pointers. Several seminars are devoted to best practices for science and math tutoring. The seminar also includes readings and discussion of critical topics in K-12 science and math education. Through the lens of social justice, this course will include conversation and critique of the social, political and economic factors that affect STEM education. For questions or add codes, email pipeline or come to our office in MGH 171. Check our website for more seminars and further details! Wetland Restoration Work Party Tomorrow! The end of the winter quarter is in sight, and there are just three habitat restoration work parties in the Union Bay Natural Area left! Come enjoy this nice weather while giving back to your local environment! Why join a habitat restoration work party? You’ll learn about restoration ecology and invasive species. You’ll get valuable hands on experience in the field. You can boost your resume with legitimate volunteer work. You can take a break from the stress of work and school and get outside! No experience is necessary, and gloves and tools are provided. These events are open to all UW students and the public. Comments Off on Wetland Restoration Work Party Tomorrow! Why do barnacles stand on their heads? What do sea stars like to eat? How do moon snails lay their eggs? Learn to answer these and other fun questions by volunteering as a Seattle Aquarium Beach Naturalist this summer. 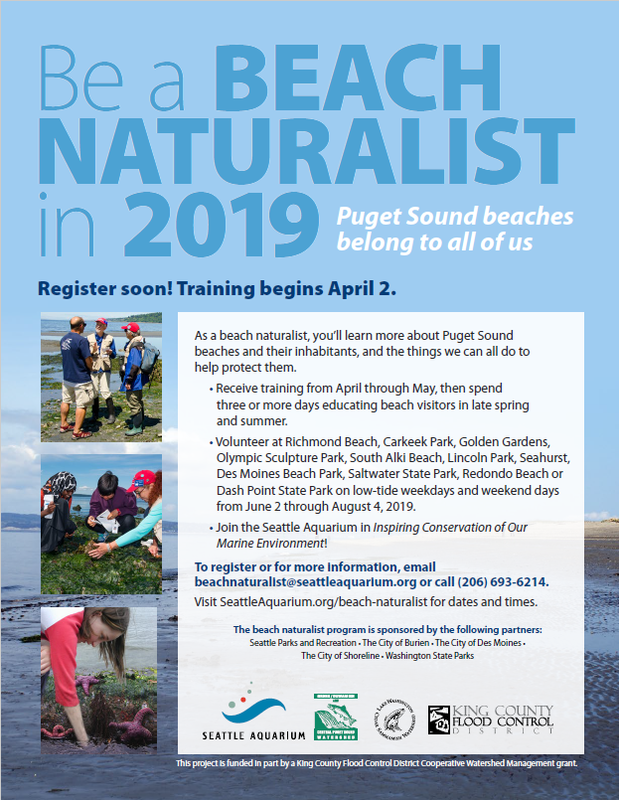 Naturalists receive training in the spring, and then spend three low tide days engaging with beach visitors about inter-tidal life and beach etiquette at one of twelve Puget Sound beaches. Orientation for new naturalists will be held on Tuesday, April 2 at 6:30PM. If interested, please contact the Seattle Aquarium by email at beachnaturalist or by phone at (206) 693-6214. 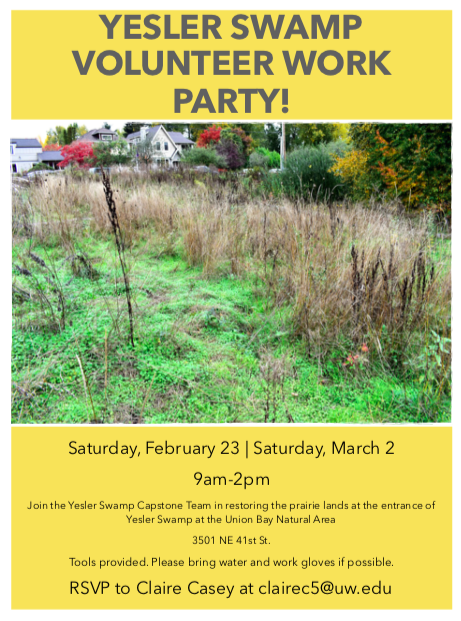 The Yesler Swamp resotration capstone project is hosting a volunteer work party this Saturday, 2/23, from 9am-2pm at the entrance of Yesler Swamp. This February and March, FIUTS (Foundation for International Understanding Through Students) will be hosting two short-term visiting programs for undergraduate students from two universities in Japan – Tokyo Institute of Technology and Ehime University. The Tokyo Tech program is a two day program on February 25th and 27th. 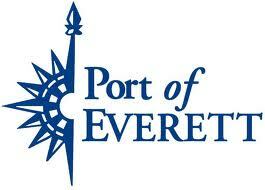 The Education and Diversity Program with Ehime University will be in Seattle from March 3rd through March 17th. Both programs will explore U.S. culture and education while expanding participants’ English language skills. The Earth Day student planning committee will work in conjunction with UW Sustainability and the College of the Environment to create and program this year’s Earth Day celebration on April 22. 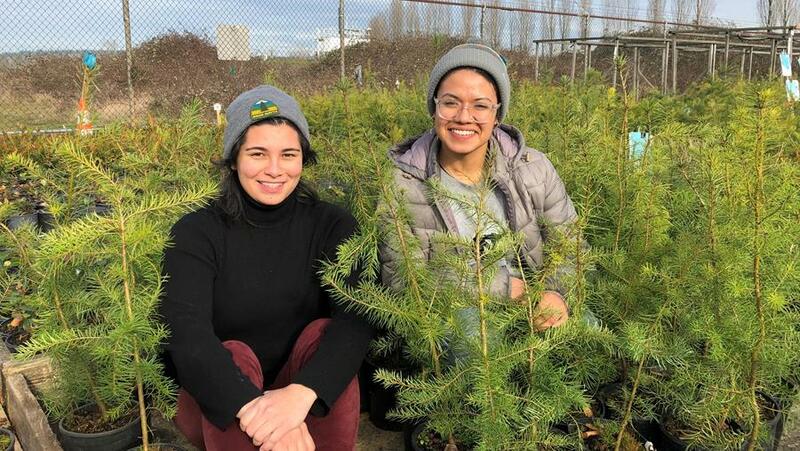 The 2019 UW Earth Day event will be student-driven and include a focus on diversity, and social & environmental justice. All students who are interested in being part of this year’s Earth Day planning committee can attend the weekly meetings on Wednesdays at 3 p.m. in Johnson Hall room 241. How is EarthCorps helping ocras? How is EarthCorps helping orca whales? One of the biggest threats to orcas in the Puget Sound is the decline of their main food source: salmon. The abundance and health of salmon is directly related to how clean the water is. 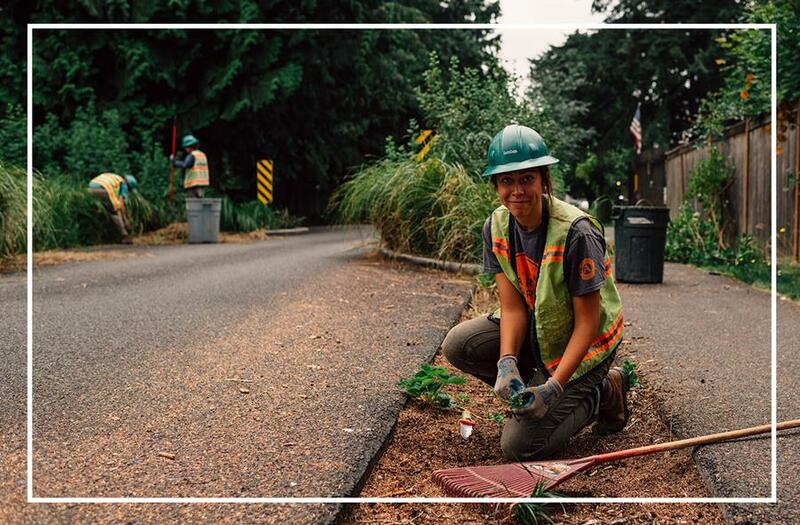 EarthCorps builds green infrastructure to filter stormwater runoff and prevent toxins from entering the Puget Sound. 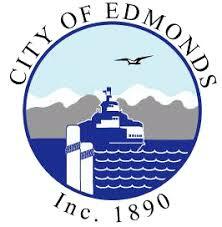 These projects include large rain gardens or bioswales along city streets. When water runs off of a road into a bioswale, the plants and soil break down and filter pollutants. Clean water helps keeps salmon healthy, and orcas fed. Learn more about how EarthCorps is helping orcas—including removing toxic logs from remote San Juan Island beaches. 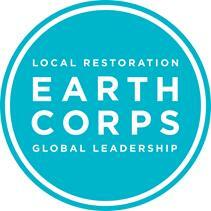 EarthCorps develops leaders to strengthen community and restore the health of our environment. We believe in the power of young people to tackle some of the most pressing issues our planet faces like climate change, pollution, and ecological degradation to ensure that people and nature can thrive together. Learn more about our Conservation Corps program for young adults, opportunities to volunteer, and support our mission. Get outside and give back! Don’t you love Pacific Northwest winters? The sub-zero temperatures in the Midwest this week make Seattle’s weather seem glorious! This Saturday calls for a high of fifty, overcast, and a hint of sun – a perfect day to get outside and plant trees with EarthCorps! Sign up to volunteer at a park near you! Sign up for an event on our Volunteer Calendar. Say hello to Lisa and Maritza! We’re excited to welcome Lisa Kenny and Maritza Mendoza to our staff. Lisa, as our Volunteer Coordinator, is the lively personality behind volunteer. Have a question about a volunteer event coming up? Lisa will get you all the information you need. Though she is new to this role, Lisa is not new to EarthCorps. She served at EarthCorps as a Corps Member in 2016 and Crew Leader in 2017. You will see Maritza in parks all around Seattle. 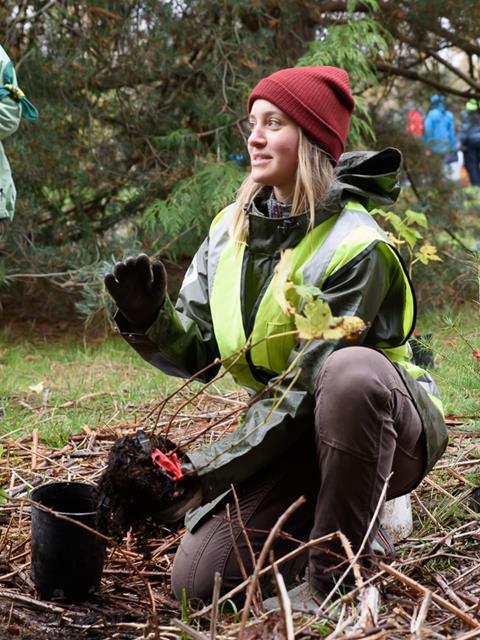 As a Project Manager, she oversees all of EarthCorps’ events with the Green Seattle Partnership. Maritza is also not new to EarthCorps. Last year she served as a Volunteer Specialist on our Volunteer Team. Meet the rest of EarthCorps’ staff on our website. 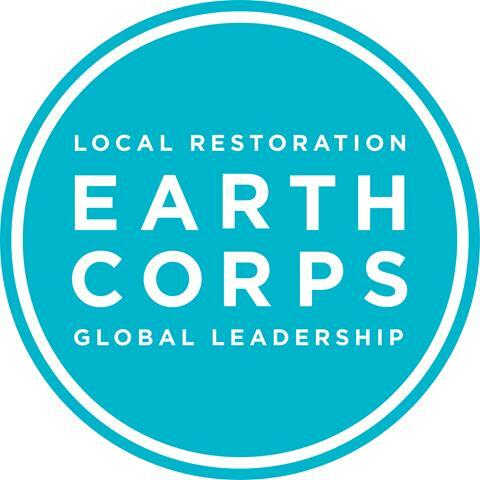 EarthCorps invites the community to help build a world where people and nature thrive together! 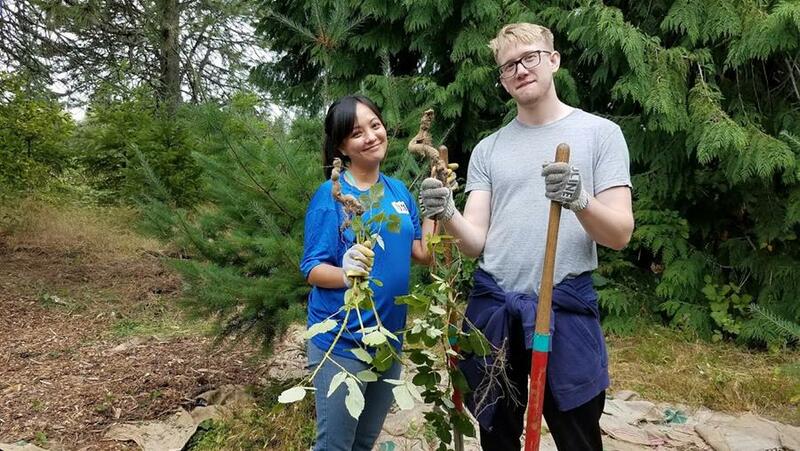 EarthCorps hosts weekly volunteer events to keep our parks and forests healthy for future generations to enjoy – and benefit from! The tasks at volunteer events vary, but they typically involve removing invasive weeds like English ivy and Himalayan blackberry and planting native trees. 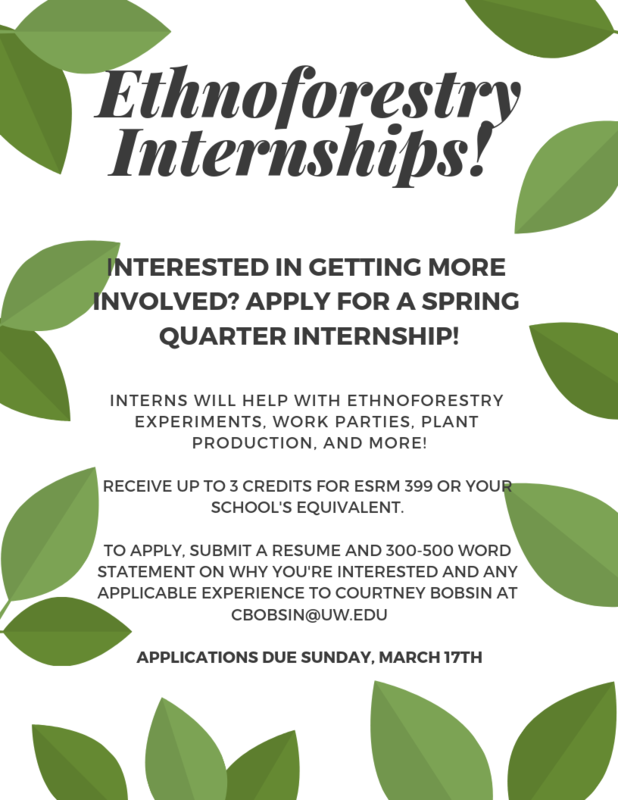 UW Sustainability, the College of the Environment and the Campus Sustainability Fund are looking for students to help plan this year’s Earth Day events, including a part-time paid student coordinator position. The goal of this year’s Earth Day is to be an inclusive, diverse event that incorporates a focus on social and environmental justice and engages members of campus who are traditionally underrepresented in discussions and actions around sustainability. Event programming may include interactive arts, live performance and inspirational speakers to create a multi-dimensional event to attract students from across campus. Any student who is interested in volunteering to be a part of the Earth Day planning committee should email Toren Elste, UW Sustainability Program Specialist, at tee10.